What started as a crucial element of consumer protection has since been manipulated into a consumer driven tool to commit fraud. Chargeback reasons no longer serve their intended purpose. Rather than protecting consumers from fraudsters, the chargeback has turned the cardholder into the thief. There are three main reasons why chargebacks are filed: criminal fraud, friendly fraud, and merchant error. The reason for the chargebacks should dictate the method the merchant takes to effectively address them. When it comes to criminal fraud and chargeback fraud, determining the guilty party seems pretty black and white. But what about the charges being disputed when fraud wasn’t committed? We call this the chargeback gray area. Let’s begin with what can be known as valid chargebacks, those caused by criminal fraud. 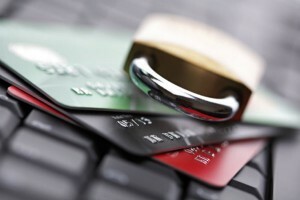 Of the three most common chargeback reasons, criminal fraud is the hardest for merchants to dispute because cardholders have done nothing wrong. Criminal fraud, the reason chargebacks were developed in the first place, can be caused by one of two people: the merchant himself or a third party entirely. Merchants commit criminal fraud when they take advantage of unknowing consumers. By deliberately not delivering the product or service promised, purposefully charging the customer more than authorized, or blatantly lying about the purchase, merchants are swindling funds out of honest consumers. If cardholders make purchases that turn out to be scams, the chargeback dispute process can recoup their funds and charge a fee to the fraudulent merchants. A merchant doesn't deliver a product or provide a service previously paid for. An online merchant claims the product is authentic but is later found to be a knock off. A waiter or waitress applies a much larger tip to a restaurant bill than what was written and signed for by the patron. 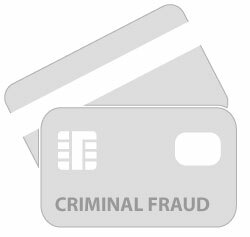 The second type of criminal fraud that chargebacks address is fraud caused by someone who is neither the merchant nor the cardholder. Third parties commit criminal credit card fraud by using the bank account or payment card information of another person to make purchases. Any time a person makes a purchase using a card that is not theirs and they are not authorized to use, they are committing fraud. If a consumer discovers unauthorized or unrecognizable charges on her bank statement, she is able to contact her card issuing bank and report the fraudulent transactions. Cardholders who are victims of credit card fraud are protected by the issuing bank through the chargeback dispute process, which allows them to prove theft and bring their accounts back into the white. A cardholder accidentally leaves his credit card on the counter at the checkout. The card is then found by a stranger and used to make further purchases at the store. A fraudster obtains a stranger’s bank account number and uses it to electronically transfer funds to a second bank account, which can then be accessed by the fraudster. Someone the cardholder knows finds the card left unattended. Because he knows the cardholder would notice if it went missing, he writes down their card information to make purchases online. Although the customer still has the card in his possession, it has been compromised. Friendly fraud chargebacks are a misuse of the dispute process by the consumer. Friendly fraud, also known as chargeback fraud, is the act of filing a chargeback on a purchase that was made, authorized, and received. When it comes to the friendly fraud area of the three chargeback reasons, the cardholder is the one in the wrong, which makes these disputes highly valuable for merchants to fight back. There are two ways in which friendly fraud is committed; accidentally and intentionally. No really, cardholders commit accidental chargeback fraud without even realizing it. Accidental friendly fraud is committed by consumers who have authorized purchases but file chargeback disputes without realizing they are invalid. A consumer previously authorizes her child to make a purchase using her payment card. When the charge appears on her bank statement, however, she immediately files a chargeback because she does not recognize the charges as her own. A charge appears on a cardholder’s bank account one month after the initial purchase because the account was not charged until the product was shipped. Because the cardholder did not make the purchase on the posting date, she does not recognize the charge and disputes the transaction with her issuing bank. A cardholder receives her bank statement in the mail and it includes a transaction she does not recognize. 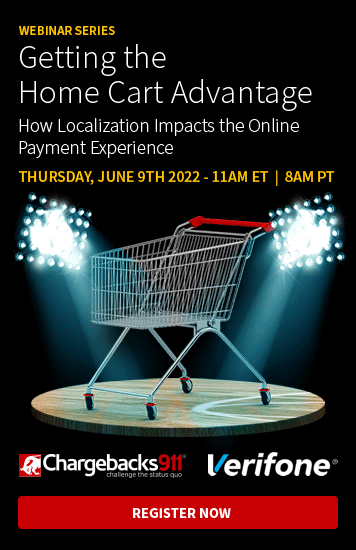 Although she did make the purchase, the descriptor uses the company’s legal trading name instead of its recognizable brand name, and thus convinces the cardholder that she did not make the purchase. More often than not, friendly fraud is not accidental at all. Many consumers who abuse the chargeback dispute process set out to make a profit for themselves at the expense of the merchants. 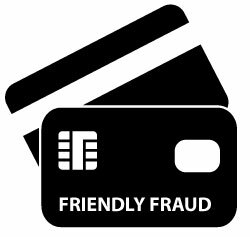 Intentional friendly fraud occurs when a cardholder makes and authorizes a purchase and receives the product or service as described, but files a chargeback against the merchant illegitimately. Friendly fraud costs merchants millions of dollars in losses each year and are the most important chargebacks to fight back against. A consumer spends more than she could afford on a major online purchase. After experiencing buyer’s remorse, she still wants to keep the product but wants her money back as well. By filing a chargeback claiming that she did not authorize the purchase, she gets both the product and the money, while the merchant incurs double the loss. A husband and wife use a shared bank account for their expendable income. Although the wife knows that a purchase she found on their bank account was authorized by her husband, she disagrees with the way the money was spent and claims that the charge was fraudulent. A cardholder places an online order for a brand new electronic with the intention of claiming a problem or defect with the performance of the product. When the product arrives in perfect working condition, the cardholder contacts her issuing bank to file a chargeback and turn a profit. Friendly fraud is not only morally and ethically wrong, it is also theft. By fighting chargeback cases that they know to be cases of friendly fraud, merchants not only recoup some of their losses, but they send a proactive message to consumers and banks alike. Many times, consumers who commit friendly fraud and are successful, are likely to do it again. However, if they are defeated, banks are likely to flag them as possible fraudsters, and their confidence in committing fraud greatly decreases. 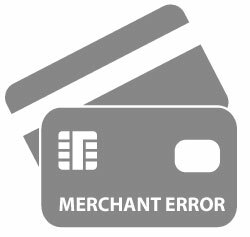 Merchant error chargebacks are not entirely valid or invalid. When cardholders file chargebacks because they are unhappy with a purchase, they believe they are filing a valid chargeback. However, merchants and consumers tend to disagree when it comes to these types of chargebacks. Merchant error chargebacks are not black and white, and therefore, are high priority for representment. In situations of merchant error, neither the customer nor the merchant have committed fraud. Instead, the merchant has made an error in conducting the sale or the customer believes the merchant has committed such an error. Generally, if a merchant error chargeback is filed, there isn’t one straightforward reason, but a multitude of directions that could have lead to this result. No two chargeback disputes are exactly the same. The customer has unrealistically high expectations of the product or service. The merchant vastly oversold the product, promising appearance, performance, or quality far superior to the product itself. The customer misused the product or misinterpreted the advertisements and descriptions before purchasing. The product was defective upon arrival due to manufacturing or delivery mistakes. The customer believed he was making a purchase for a different product or service than what was actually purchased and delivered. The merchant used stored credit card information to accept approval for a purchase on her website. The customer, however, accidentally clicked submit and did not have a chance to cancel the order before it was sent. The customer purchases and receives a product but decides to return it for a refund. However it is past the return time frame as stated online, so the merchant refuses. The customer is unable to get a hold of a customer service agent to request assistance in dealing with a problem with the product or service. The customer misread the Terms and Conditions, not realizing that the company would send a second shipment of the product one month from the initial purchase. The company purposefully disguised the terms of the free trial by reducing font size, camouflaging font color, and placing them on a specified subdomain of the main website. The customer knew the shipment was coming but forgot to cancel and believes she did not have to because she did not specifically ask for a second shipment. The merchant did not fully disclose the cancellation policy or allow the customer to cancel within the time frame allotted. The customer claimed to have cancelled the subscription earlier, but in reality tried calling customer service and did not follow the specified policy. The customer previously cancelled her recurring subscription but an error on the merchant’s end did not stop the next shipment from being delivered. Chargebacks were created to assist consumers in the unfortunate situation that a merchant is dishonest or deceitful. However, there is subjectivity when it comes to quality, service, and timeliness, which creates a grey area of validity. Before customers were able to dispute charges directly to their bank when they had been wronged by a merchant, they were easily taken advantage of. Chargebacks are what stop individuals and companies from scamming consumers out of their credit card information and giving them nothing in return. But to be fair, when it comes to chargebacks, the customer is not always right. The three main chargeback reasons all have different victims, making it harder to determine when to put up a fair fight in proving the validity of the sale. It is crucial for merchants to re-present chargebacks when they believe that they have done nothing wrong. If the merchant wins the dispute, not only will the sale be saved, but he will also send a message to cardholders that he, too, is not easily taken advantage of. Representing chargebacks is a critical part of profit retention. However, merchants should focus on what they do best; selling a product and providing top notch customer service. 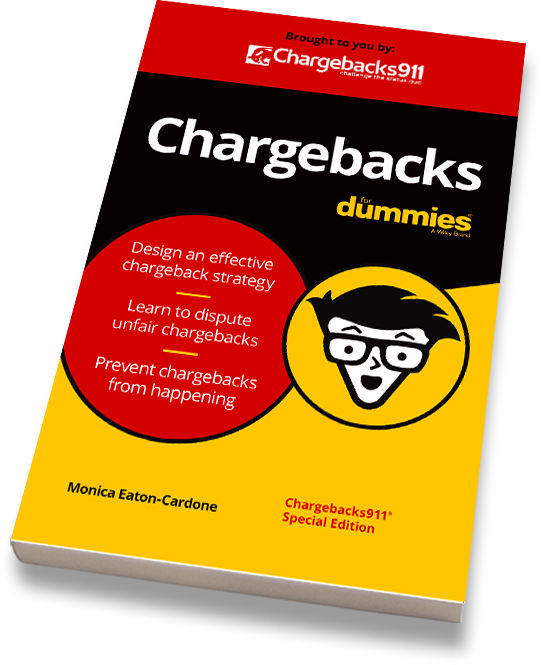 Let Chargebacks911® take care of the headache-inducing part, those pesky chargebacks! Not convinced you need help managing chargebacks? We promise ROI for all chargeback representments. We’ll show you exactly how much more you could earn by preventing and disputing the three main chargeback reasons.